Hi! This is Luna, Creative Director of Altitude. The Global Game Jam is happening this weekend (January 23 to 25) – an annual event where developers from around the world get together and make a game in 48 hours. This year’s Manila jam is happening at Ateneo de Manila University, and Altitude was happy to be part of the event as a silver sponsor. 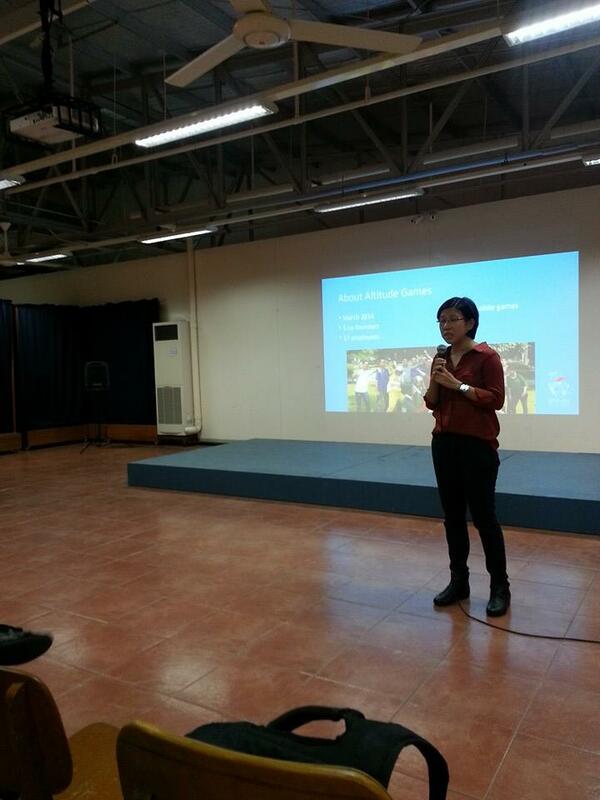 Last weekend, the International Game Developers Association Manila had an orientation for game jam participants, and we were invited to give a short talk. Being a former game jam organizer myself, I gave the audience three tips on how to have a great jam — tips that didn’t just apply to the event, but also things I’ve learned while working at Altitude. Anyone who’s been in a bad group assignment in college (or in a company) knows that the success of your project can depend entirely on who you team up with. Game jam teams are usually composed of friends, but why don’t you try meeting new people at the event itself? You might find someone (especially during the pitching sessions) with a game idea you like, a skillset you need, or a work ethic you admire. Skill, attitude, and discipline are three things we look for when choosing people to work with at Altitude. (It’s not enough to just be awesome at what you do — you all have to get along, too.) If you have a great team, then making games together will be a much smoother experience. If your game isn’t fun when it’s made with temp / ugly art, then it won’t be fun when you throw five artists on it. It’s important to nail your basic mechanics first, especially with the short amount of time at a jam. 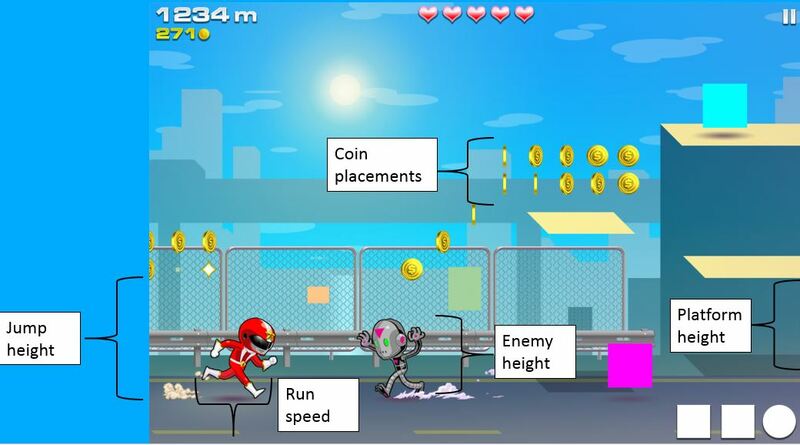 For the endless running mode in Run Run Super V, there were so many variables that affected each other – changing Red Star’s run speed, for example, could affect his jump height, which in turn affected enemy height, coin patterns, obstacles, etc. We kept prototyping early on and only added final art once we were generally happy with how it played. You’ll still have revisions even after you have final art, but at least the waste (the possibility of throwing out all your work) is minimal. Traditionally (both at game jams and studios), developers are afraid to show their game to the public until it’s done. But the downside is if you release your final game without user feedback, you might miss obvious problems that could have been found early. For Run Run Super V, we showed the first playable at Casual Connect Singapore after just 10 weeks of development, then released our alpha on Google Play Philippines – and got 10,000 users before pulling it down. The feedback we got from both experiences were incredibly helpful, and we made tons of significant changes to gameplay that we wouldn’t have known were necessary. At the game jam, don’t wait for judging time to show your game to people. Talk to other teams and do a swap – “I’ll play your game if you play mine!” — then look for trends. Where do people get stuck? What are people having difficulty with? Adjust early, and you’ll have a better game come judging time.